Hector International Airport has three parking areas available for short and long-term use. All major credit/debit cards are accepted including Visa, MasterCard, Diners Club, American Express and Discover. With Parkmobile Reservations you can reserve a front-row parking spot up to a year in advance, just $4 more per day. 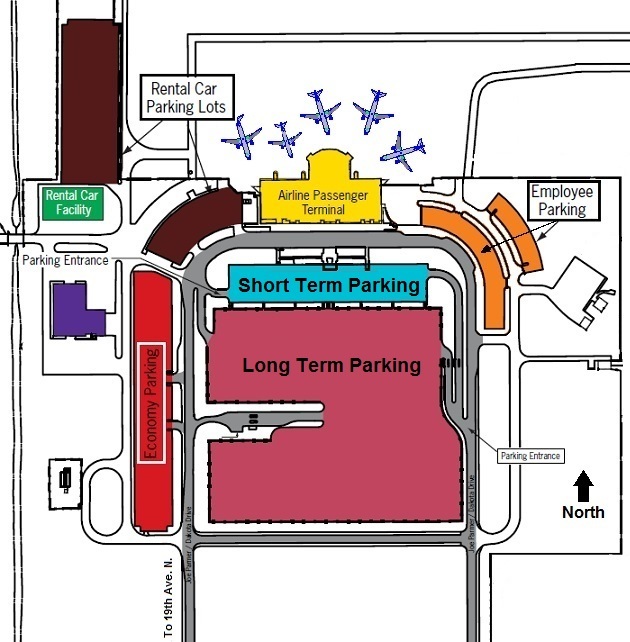 Click here for a map of the available parking lots.